2017 Maserati Quattroporte GTS GranLusso. 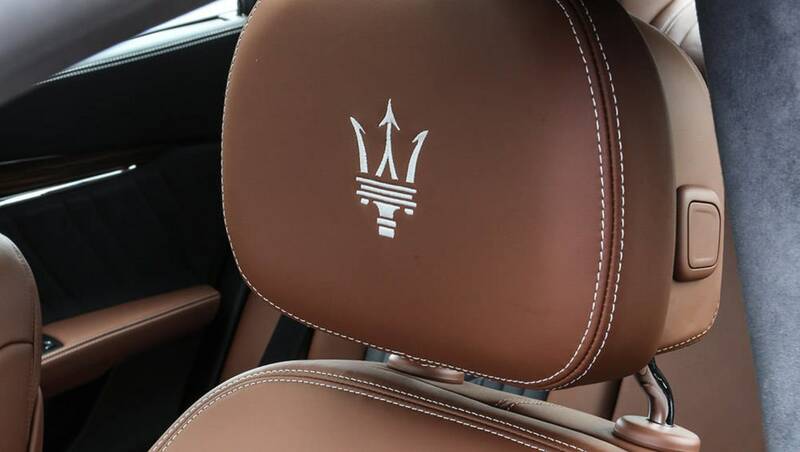 2017 Maserati Quattroporte GTS GranLusso, interior. Variety of driver aids and upgraded multimedia system. A soft, calm ride in normal mode, agile and involved in sport. Even the diesel engine sounds great. The diesel lacks the snappy responsiveness you expect from a Maserati. Less in the way of standard features than some of its German rivals. John Carey road tests and reviews the Maserati Quattroporte with specs, fuel consumption and verdict at its international launch in Europe. Back in 2013, the launch of a new Quattroporte signalled the beginning of an era at Maserati. 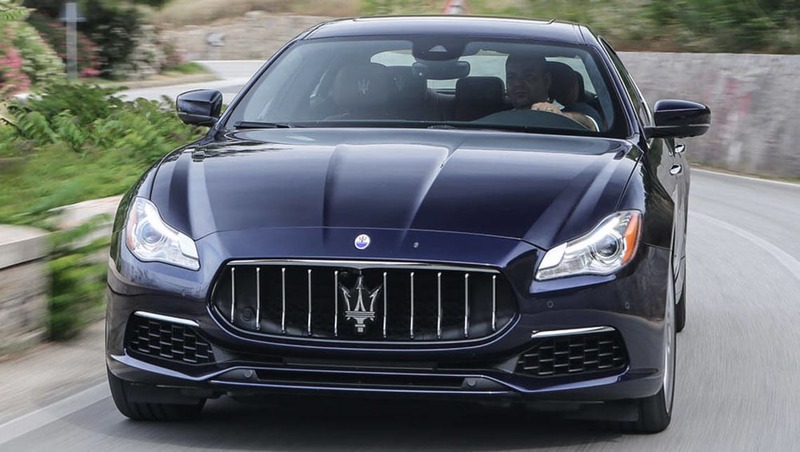 The fresh-off-the-drawing-board engines and chassis first seen in the company's big flagship were then used as the basis of the smaller Ghibli sedan and later the Levante, Maserati's first SUV, revealed early this year. The pretty Ghibli gave Maserati sales a huge boost and was the model mainly responsible for swiftly lifting the Italian brand's global sales from about 6000 a year to more than 30,000. The Levante, due in Australia later this year, is sure to be even more successful than the Ghibli. But Maserati doesn't want the Quattroporte to be overshadowed by the better-selling models it sired, let alone overlooked by customers. So, three and a bit years after the sixth-generation Quattroporte appeared, an updated version is ready. What Maserati hasn't much changed is the way the Quattroporte drives. The line-up of engines is the same and the big Italian remains more eager and agile than its looks and length suggest. Technical changes are small. There's a 14kW power increase for the less powerful version of the twin-turbo 3.0-litre V6. The high-power variant for the Quattroporte S, the 3.0-litre V6 turbo diesel and the manic twin-turbo 3.8-litre V8 of the GTS are unaltered. The eight-speed auto remains, along with its annoying, awkward and confusing shift lever. There's probably not another turbo diesel in the world that sounds as good as the V6 in the big Maserati. Well over 5m long and weighing in at a little under 2 tonnes, the Maserati has the same kind of visual and physical heft as the long-wheelbase versions of the latest BMW 7 Series and Mercedes-Benz S-Class. Just as Saxony is unlike Sicily, though both are part of Europe, the Quattroporte has a different personality from the German heavyweights. As if to stress the contrast, Maserati staged the introduction of its updated limo on roads around Palermo, capital of Sicily. 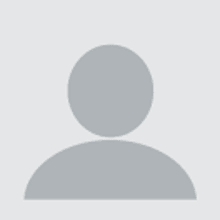 Carsguide sampled the Diesel and S models. The first is powered by a 202kW 3.0-litre V6 turbo diesel, the second by a 302kW version of the 3.0-litre V6 twin-turbo built for Maserati by Ferrari. The Quattroporte's character owes much to its engines. There's probably not another turbo diesel in the world that sounds as good as the V6 in the big Maserati — but there's more bark than bite. Smooth and muscular, it lacks the snappy responsiveness that the trident badge promises and feels tame compared to the petrol V6 of the S.
The Made in Maranello twin-turbo V6 is a hyperactive leash-strainer of a thing. Let it off, and it romps away with puppyish enthusiasm. With the Sport driving mode selected (to hold open the noise-killing valves in the mufflers), there's also a surprising amount of noise. Pedigree quality, of course. Regardless of what's under the bonnet, Sport mode makes a real difference to handling. The extra power of the S engine is enough to really test the Maserati's tyres and suspension but you can count on the Quattroporte's chassis control electronics to keep everything tidy. Regardless of what's under the bonnet, Sport mode makes a real difference to handling. The standard variable dampers switch to stiff, the steering becomes weightier, boosting cornering agility and driver involvement to levels rarely found in a limo. The Maserati's Normal mode aims for the same kind of calmness as its rivals. On choppy roads, the softeness of the shock absorbers in Normal means it sometimes feels like a bobbing boat. Just like the original 2009 Quattroporte it replaces. Technical changes for the updated car are small. Measures cutting aero drag by 10 per cent yield slightly higher top speeds. Maserati's big move is the introduction of two new model grades called GranLusso and GranSport. The Quattroporte's exterior isn't dramatically different. A redesigned grille with chromed vertical bars is the easiest way to identify the update. 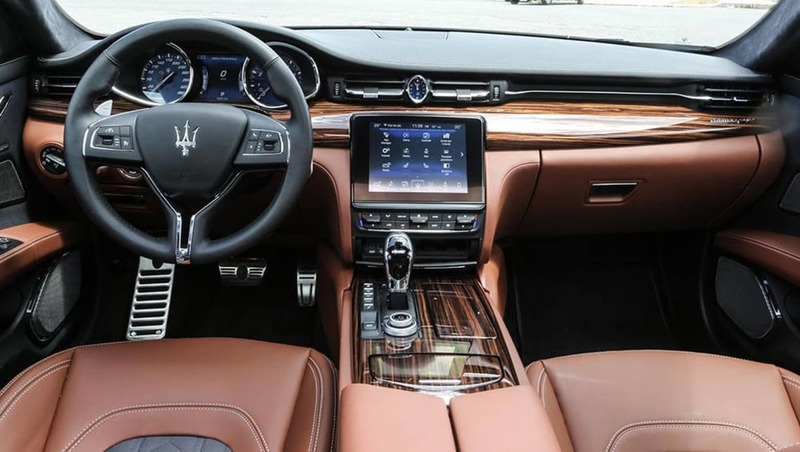 Maserati's big move is the introduction of two new model grades called GranLusso and GranSport, aimed at providing customers with two different paths into a more luxurious Quattroporte. These are extra-cost options for buyers in Europe and other markets but will be standard in most of the range in Australia. The Quattroporte is due in December but the Australian Maserati importer has not yet finalised prices. The richer content of the GranLusso and GranSport packages is likely to be reflected in higher prices for the petrol-burning V6 and top V8 models in which they're standard. The least expensive model, the Diesel, will continue in Australia in base form only and stay at about the $210,000 mark of the current car. "Lusso" is Italian for luxury, which is what GranLusso spec aims to deliver. The focus here is interior opulence. No prize for guessing what GranSport is about. This grade brings big 21-inch wheels and specially designed sports seats. 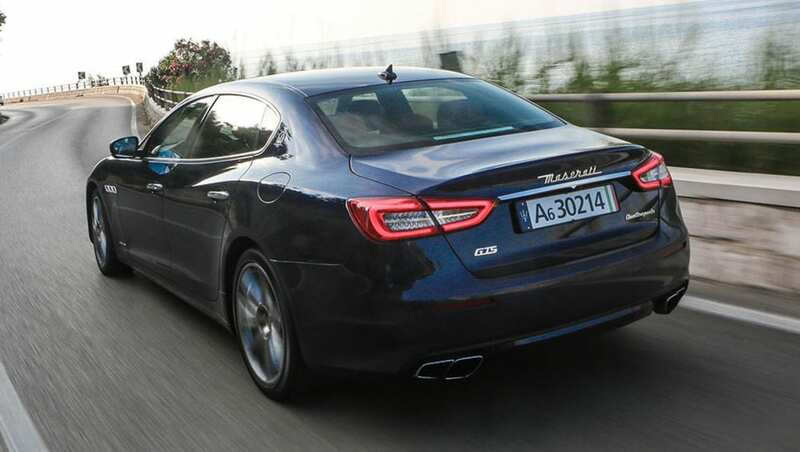 The big GranSport wheels and their low-profile rubber make the Quattroporte a jiggly car to drive in Sport mode but it has bags of grip and is more agile than its German rivals. In other ways, the updated Quattroporte plays catch-up with the Germany. A new suite of driver aids — including autonomous emergency braking and very good adaptive cruise control — makes the Italian an almost-rival instead of also-ran. Maserati has upgraded the multimedia with a larger touchscreen and a new controller in the centre console. This update creates an improved Quattroporte, no question, but the Italian flavour remains as strong as ever. Which is probably the way Maserati's growing band of buyers prefer it. Which Quattroporte would you prefer, the GranLusso or GranSport? Tell us what you think in the comments below. 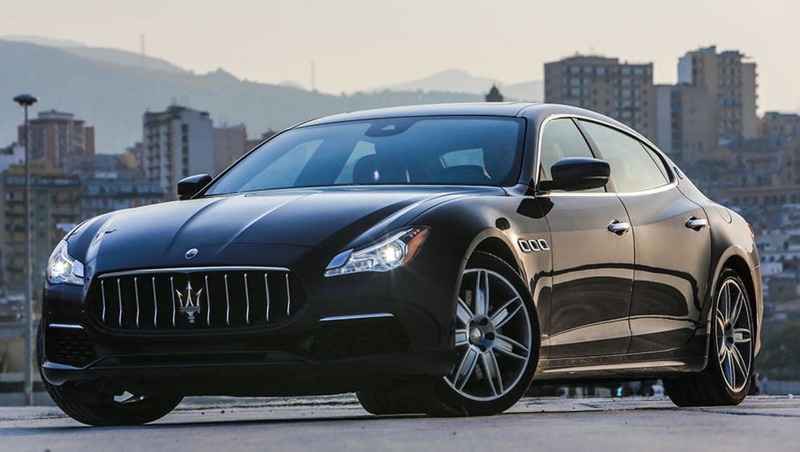 Click here to see more 2016 Maserati Quattroporte pricing and spec info. 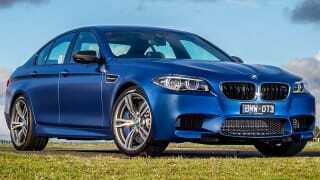 Craig Duff road tests and reviews the BMW M5 Pure with specs, fuel consumption and verdict. 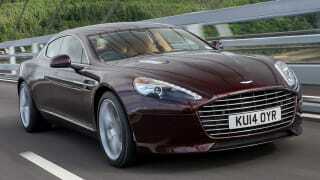 Peter Barnwell road tests and reviews the 2014 Aston Martin Rapide S with specs, fuel consumption and verdict. 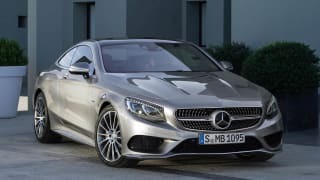 Paul Gover road tests and reviews the Mercedes-Benz S-Class Coupe at its international launch.